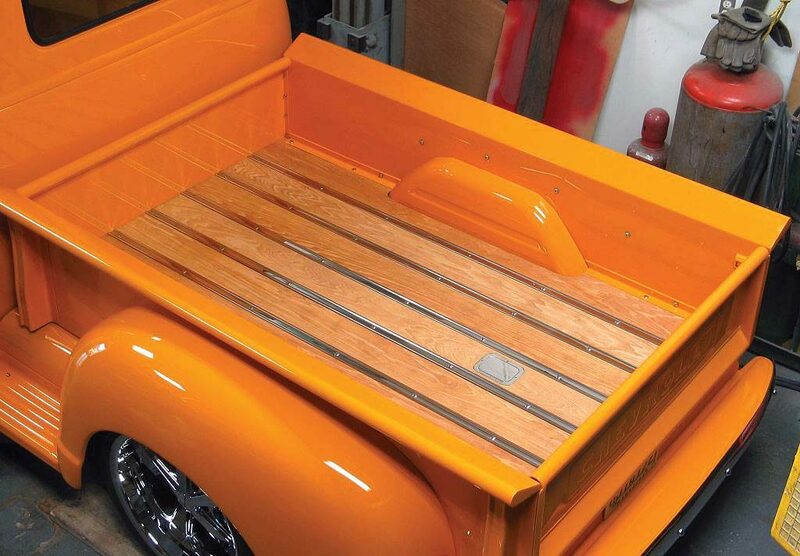 For both modern and classic pickups, a genuine wood bed liner is practically a must. Bed Wood and Parts has a wide variety, custom-designed to fit virtually every make, model and year of truck. The company also produces all the proper stainless-steel and aluminum finishing hardware needed for a standout custom look. The company sells more than 40 different types and styles of wood that can be installed without drilling into the bed surface. Bed Wood and Parts can also furnish wood flooring for van and sport utility vehicles. As you can imagine, pricing for each kit and application will depend on bed or floor size and the type of wood and fasteners selected. Visit www.bedwoodandparts.com.